For 35 years, the Volkswagen Jetta GLI has been a main-stay for performance enthusiasts. The tradition continues with the introduction of the new 2019 VW Jetta GLI at the Chicago Auto Show. 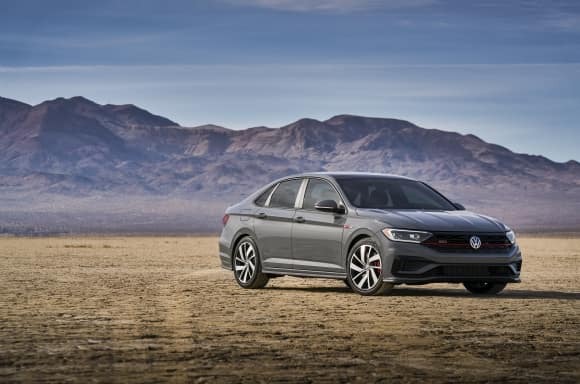 The redesign of the 2019 GLI builds on the popular Jetta platform to create a vehicle with more power, sharper handling and world-class technology. Volkswagen’s 2019 Jetta GLI will be sold in two feature-filled trim levels, as well as a 35th Anniversary special edition. The exciting new Jetta GLI features sport-inspired design cues that differentiate it from standard Jetta models. The front of the sport sedan features a black honeycomb grille with a red accent line. The rear of the GLI features dual exhaust tips and distinctive rear bumper with finned diffuser. A spoiler finishes the sporty design of the rear of the 2019 VW Jetta GLI. The overall stance of the 2019 GLI model is lowered 0.6 inches compared to the standard VW Jetta, giving it a low-profile look and feel. Volkswagen enthusiasts will love the distinct look of the 35th Anniversary commemorative edition which features unique black wheels with a sleek red stripe, a black roof, black mirror caps, a black spoiler, and refined 35th Anniversary badging. Driving enthusiasts will love the performance of the 288-horsepower 2.0-liter turbocharged engine. The engine is paired standard with a 6-speed manual transmission, upgradeable to a 7-speed automatic. An optional adaptive damping system is available for the GLI model, which will be offered standard on the 35th Anniversary special edition. Drive Mode Selection comes standard on all the GLI models allowing you to personalize your driving experience with four modes to choose from. The 35th Anniversary edition Jetta GLI offers a fifth “comfort mode”. The interior cabin of the 2019 VW Jetta GLI reflects the sporty nature of the exterior. Red stitching accents the sleek interior appearing on the steering wheel, shifter, armrests and floor mats. A standard leather-wrapped sport steering wheel and diamond flag décor trim distinguishes the GLI from other Jetta models. The 35th Anniversary model feature unique seats tags, kick plates, a floor mats. Owners will enjoy a whole suite of standard amenities including heated seats, automatic climate control, auto-dimming rearview mirror, keyless entry, convenient rain-sensing wipers, and much more! The amazing new 2019 Volkswagen Jetta GLI will be available this spring. 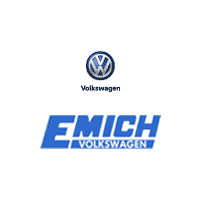 Contact Emich Volkswagen, in Denver, for information on how you can order this sporty new VW today!